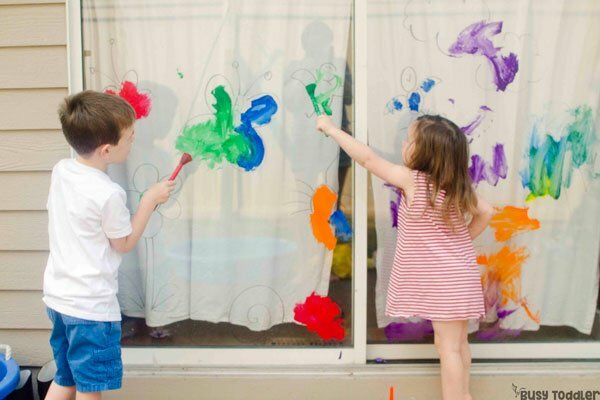 This easy outdoor art activity is awesome! What is it about a good coloring book that is so amazing? 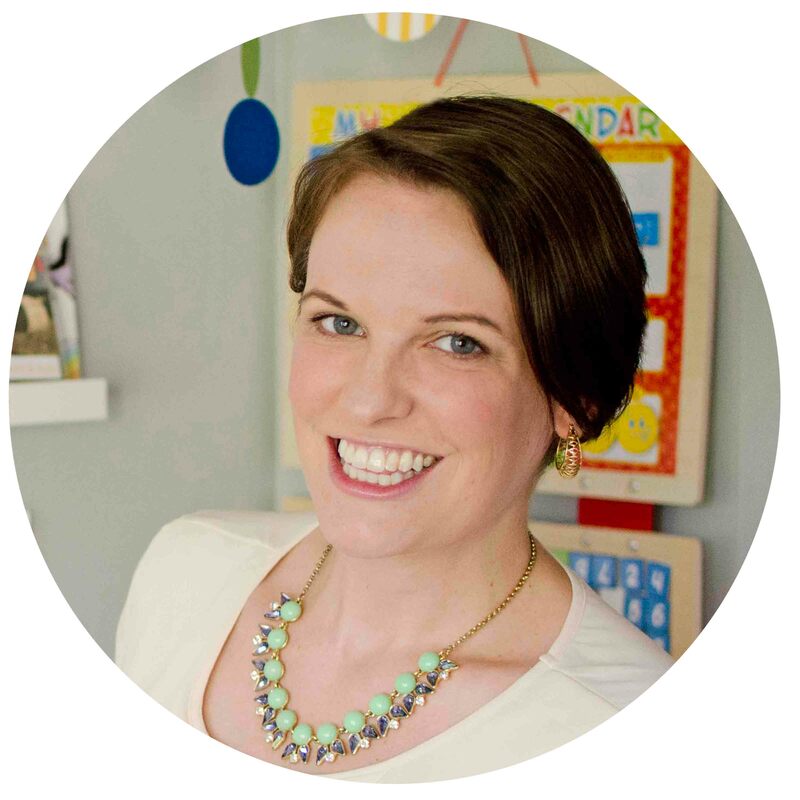 It’s relaxing, it’s engaging and it’s super perfect for kids (and adults). 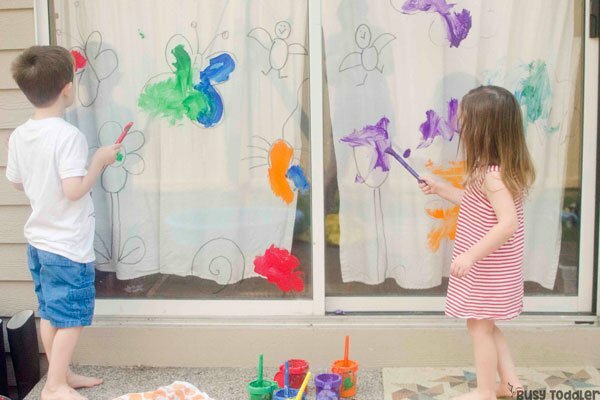 But I wanted something a little larger than life… so I made this easy outdoor art activity that’s been a hit this summer. 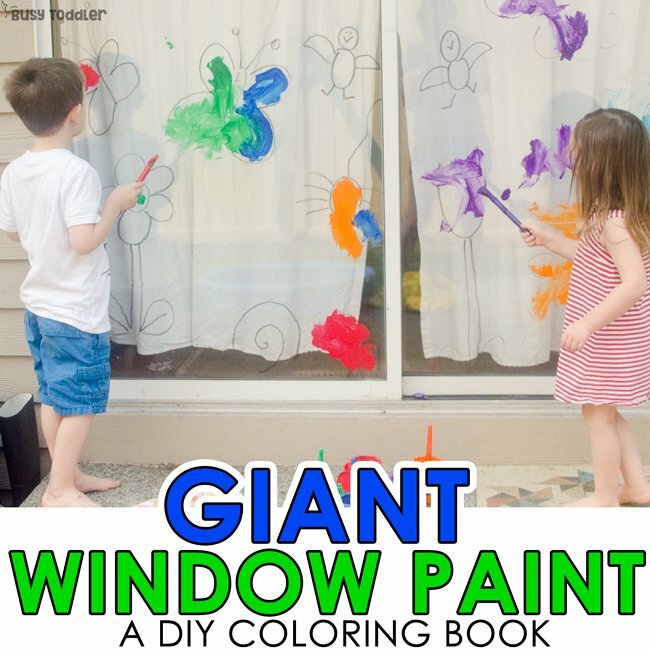 Sometimes, you just have go big or go home and make an activity jumbo sized… like this giant window paint. I’m still laughing about how I set up this activity, but at least I can share my blunder with you and have a good laugh. 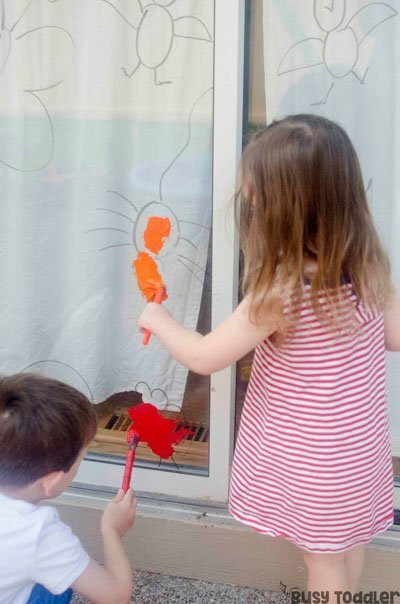 I grabbed my dry erase marker and headed outside to draw large outlines for my kids to paint. Easy enough, right? Super good idea, huh? EXCEPT when my kids painted on this: it erased the marker. DUH- I should have drawn with the marker on the inside not the outside so they wouldn’t be able to smear it. So lesson learned for next time: draw the pictures on the INSIDE of the glass. Ugh, my bad. Don’t you love when a supply list is THAT short? 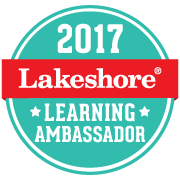 Makes my heart so happy! 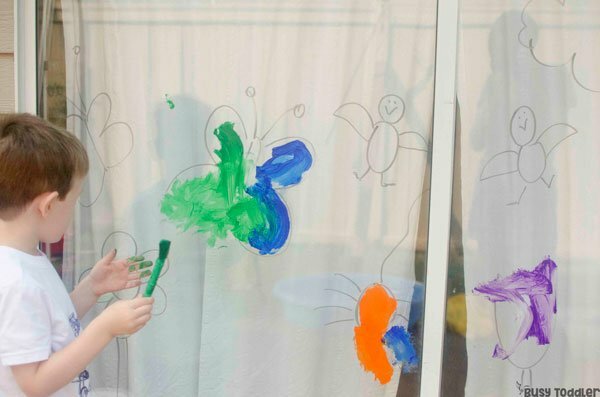 I definitely didn’t pick the animals or plants or what-nots that I drew on this window – my kids did! They sat outside while I drew, calling out what they wanted to color. No joke: clean up was a breeze. 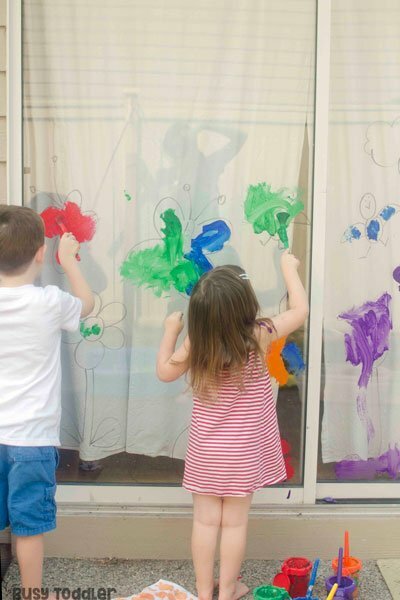 One of the best parts of outdoor activities is that the hose is right there so we cleared away the kids and the paint and hosed off that window. I gave it a good “windexing” after that and let me tell you: that window is cleaner because of this activity. 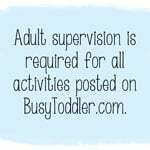 While it may look like just an ordinary art activity – there is so much more going on here! 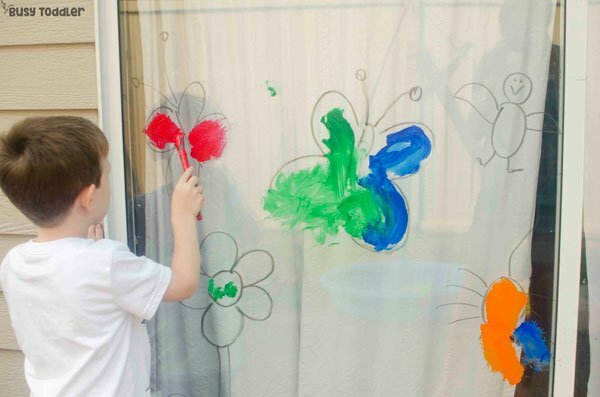 First off, my kids are getting to work on a vertical surface which is hugely important for young children. 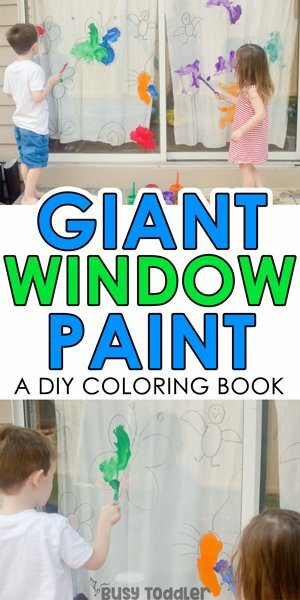 You’ve really got to try this giant window paint with your kids – such an easy outdoor art activity and my kids keep asking to play it again. 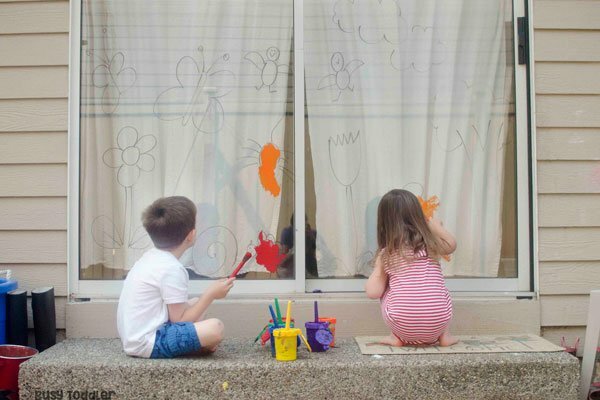 When will you make this easy outdoor art activity?